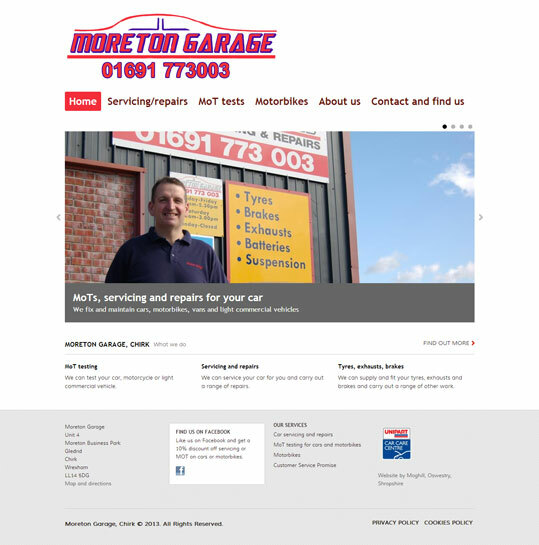 Moreton Garage was one of our first website customers in early 2010. Back then we gave him a simple, clean website integrating his Facebook business page but as things moved on he came back to us for something more sophisticated. The site also needed to reflect changes in his business. We migrated his old site into a new WordPress website, making better use of images and making changes where necessary. We also took on his email account and hosting at the same time. The new website was also built using a responsive design, which adapts itself to different screen sizes and works as well on smartphones and tablet PCs as it does on desktop computers.